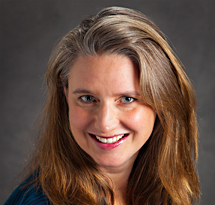 Jennifer Romich is an Associate Professor of Social Welfare at the University of Washington, a founding affiliate of the new federally-funded West Coast Poverty Center, and a founder of the Policy Practice Concentration at the UW School of Social Work. Her scholarship focuses on resource use in low-income working families with particular emphases on families’ interaction with tax and transfer systems and children’s roles within the household. Drawing on both qualitative and quantitative data, Romich’s past research has focused on how families view and use the Earned Income Tax Credit (EITC); the Chicago Extra Credit Savings Program, which linked EITC and tax returns with a matched savings incentive program; and child and family well-being as experienced by families in the Milwaukee New Hope anti-poverty demonstration program. Her current projects include a study titled Give and Take: Child Agency in Resource Allocation (with economist Shelly Lundberg) which consists of a number of secondary analyses of children’s participation in family processes within working families; an examination of how high implicit marginal tax rates created by intersecting programs affect low-wage workers’ upward mobility; and ongoing volunteer service and consultation with the King County (WA) EITC Campaign.